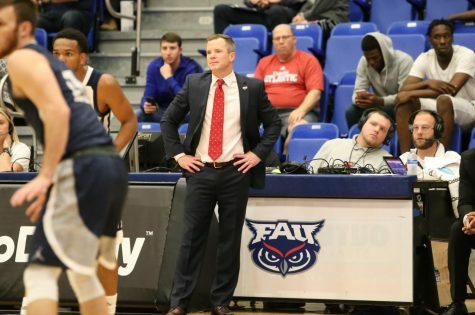 FAU basketball remains undefeated through two games of the Dusty May era, hitting a last-second shot to top UCF 80-79 on the road. The Owls (2-0) victory is their first over UCF since 2014. Despite leading the overall series 22-9, the Knights (1-1) have lost five of their last seven against FAU. 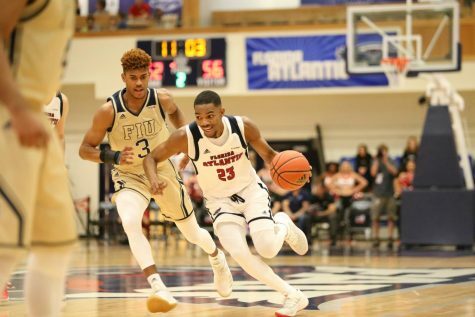 FAU played a back-and-forth game deep into the second half, UCF taking a 74-73 lead with under two minutes remaining. With seven seconds left, UCF’s B.J. Taylor hit what looked like a game-winner for his team. But the Owls had other plans. 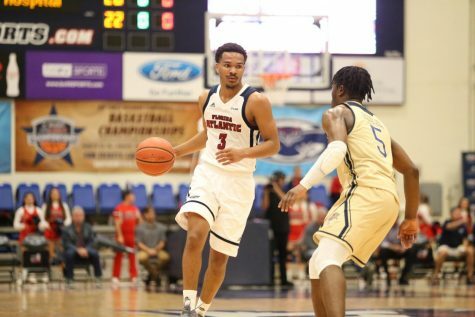 FAU guard Michael Forrest pulled up for a last-second shot to win the game, but the ball rimmed out, Simeon Lepichev putting it back up to bring his team ahead with less than a second remaining. 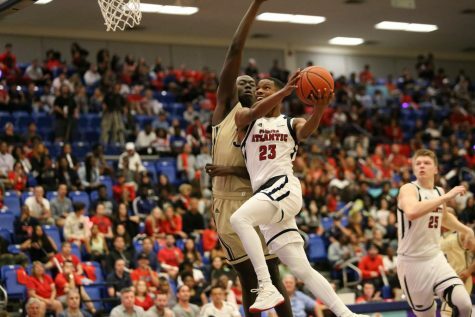 “Simeon made a great hustle play,” FAU basketball coach Dusty May said of Lepichev’s game-winner. 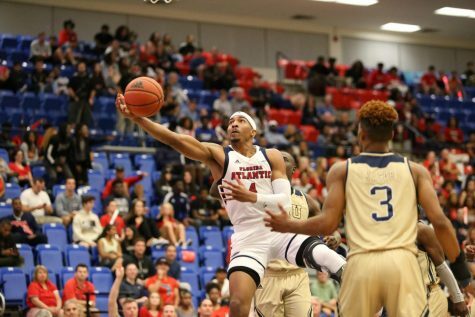 Guard Anthony Adger was FAU’s leading scorer, netting 19 points on 7-12 shooting. 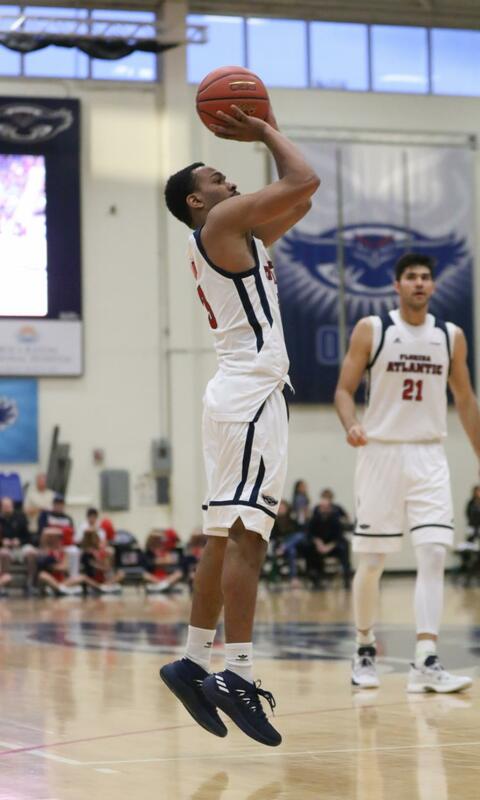 Forward Xavian Stapleton recorded his first double-double as an Owl, scoring 14 points to go along with 10 boards. The Owls shot a measly 9-30 from the field in the first half but came out on fire in the second, shooting 19-37 in the final 20 minutes. UCF got off to a hot start, scoring 12 unanswered points to start the game. Its lead quickly ballooned to 20 after going on a 9-0 scoring run minutes later. 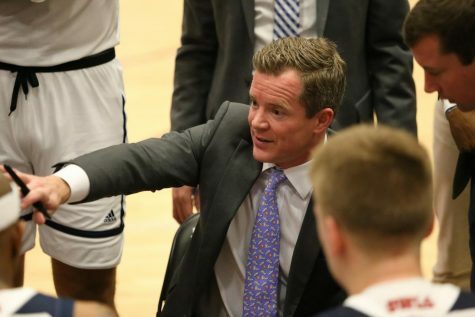 FAU went on a run of its own, closing the gap at 11 with under six minutes remaining. 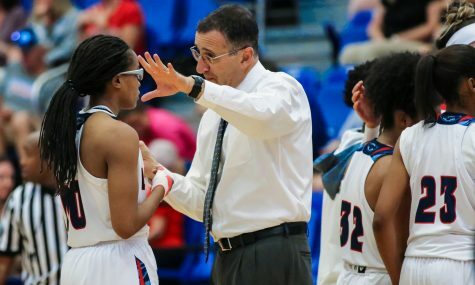 The Owls finished the half strong, behind by six, 37-31, after 20 minutes of play. 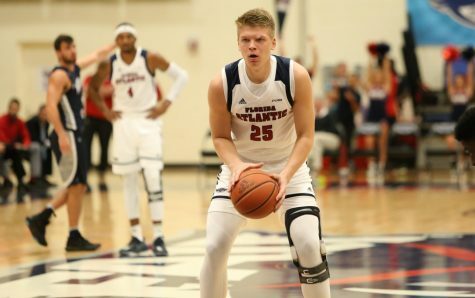 FAU hopes to stay undefeated when it plays next Friday against Georgia Southern in the Bahamas Showcase tournament. Tipoff in Nassau is at 5 p.m.